Where to sleep in the Cinque Terre? 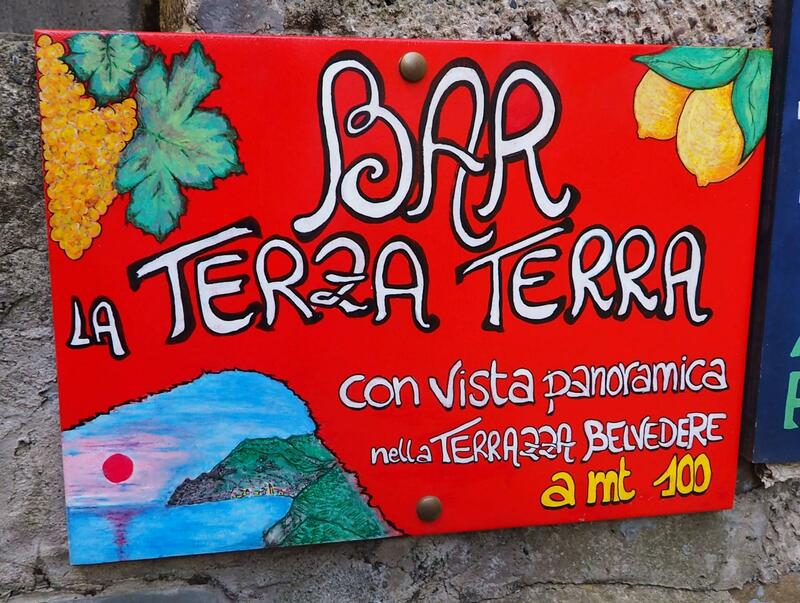 Thankfully, you’ll not find big hotel chains in the Cinque Terre. We are talking about small villages, where it’s almost impossible to build more and to have large spaces so…where to stay? Private apartments, villas, room with en-suite bathrooms and B&B are the best solution for your stay in the Italian Riviera. 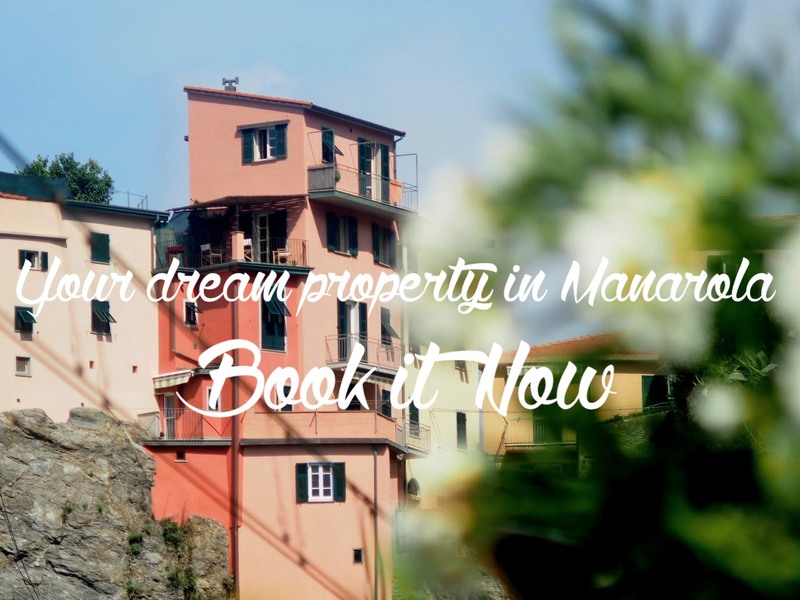 They will run slightly cheaper than hotel rooms, hotels will have a concierge and may include breakfast, but you’ll not be living the Cinque Terre the best way! The main thing to keep in mind in looking for the right accommodation is to be honest about your needs, asking questions up front of the apartment/villa manager, so that you can be sure that the apartment you see on your arrival is the one you booked online. You need to trust the company you’re using to book your holiday rental. A lot of private individuals are offering rentals, but, in some cases they are not authorised to do that, they often overbook or double-book, and the information they provide will not be enough to answer your questions, which leaves you unsure that you’ll have a place to stay and unsure that it will meet your needs once you arrive in the Cinque Terre. This is where we, Cinque Terre Riviera, can help! A professional company in travel business. More than 27 years providing top quality services to travellers. We personally inspect and select the best apartments and villas in the area, the most traditional and real ones, and we also manage a range of accommodations for groups of different sizes , so whatever your needs are, we can help you find something for you. We are able to guarantee your reservation, assist you before and during your stay, and are happy to provide you with as much information as possible. Depending on the length of your stay and which kind of group you’ll be traveling with…one of the villages is for sure the perfect one for you! If you have to accomodate a large group, please consider splitting up into more than one apartment: villages are small and some rentals are very close to each other — the common area you’ll looking for is the village itself! The Cinque Terre villages offer many things but it’s not easy to have villas with pools close to the sea, mostly because there’s no space to build them and because the Cinque Terre is still a protected National Park. Monterosso is the biggest of the five, the most accessible, easy to walk around and the one with an amazing, almost sandy, beach (Other Cinque Terre beaches are smooth pebble beaches). Here, apartments are a bit larger and it’s a great option for families on vacation. It’s divided into two sides, the old side, Paese Vecchio, and the newer side, Fegina, where the big beaches are. The old side is charming, and composed of old buildings (so expect stairs to get inside your holiday home, and if you’re staying along the main road, it could be a bit noisy in the evening as you’re sipping your wine on your balcony). The train station is exactly mid-way between the two sides. Walking from one side to the other takes approx. 5 minutes. You’ll find markets in both sides of the village as well as bars and restaurants. It’s the only village with a big parking area. Vernazza, the most famous, most romantic, with that incredible, unique main square. It’s the village where we of Cinque Terre Riviera have our office and where we manage the higher number of properties. The perfect spot for a couple staying two or three nights, but recently guests started appreciating the village for long rentals. Mostly, accommodations you’ll find here are rooms with en-suite bathrooms but we have some very interesting apartments available if you’re looking to have a kitchen and a sitting area. 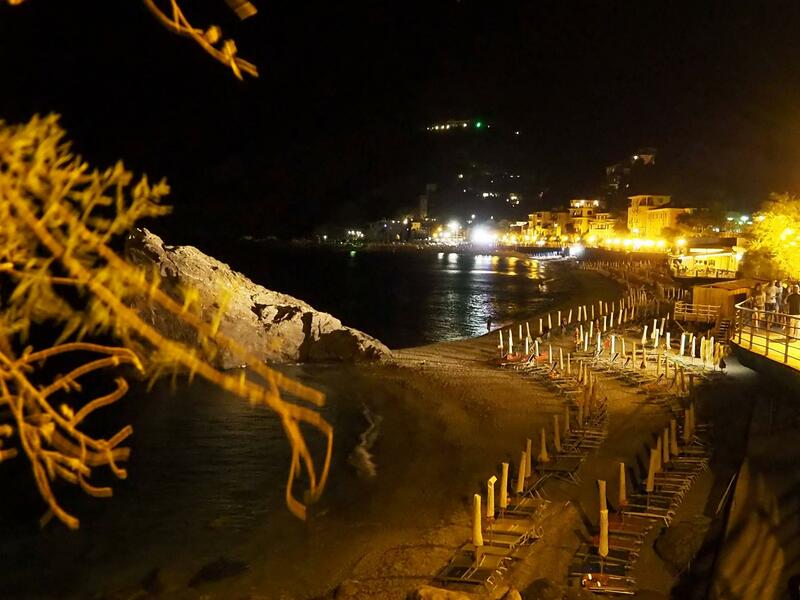 One thing to remember is to book early your accommodation in Vernazza if you’re looking to have a seaview apartment. 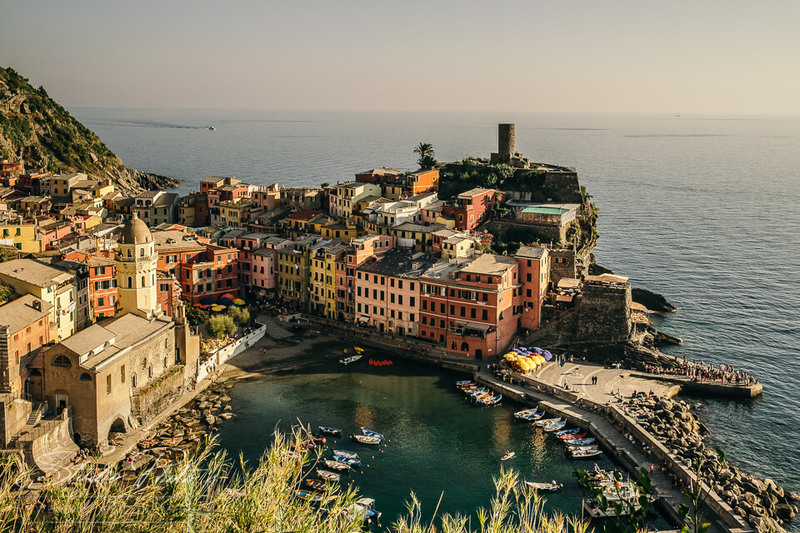 Driving to Vernazza is strongly discouraged; you can leave your car in Monterosso, Levanto or La Spezia and get to Vernazza by train in few minutes. It is the only one not directly on the sea, but it’s able to evoke incomparable emotions. It has a couple of secluded beaches, not as easy to reach as the Monterosso ones, but privacy is guaranteed. The village itself is beautiful, you can see and feel how locals take care of it in a way that is different than other villages. From the train station you have a shuttle bus service (7am to 8pm – 2 minutes ride) taking you to main square or the famous 382 steps. Driving to Corniglia is strongly discouraged; you can leave your car in Monterosso, Levanto or La Spezia and get to Corniglia by train in few minutes. Where locals live all year round, so you’ll see them really enjoying the village life, taking care of their vegetable gardens and vineyards. The village slopes uphill so expect some stairs or hilly small roads. The water is beautiful, perfect for a jump after a hike. Give a try to a sip of white wine, order some anchovies here, and you’ll definitely fall in love, wishing to spend more time in this village. Our rentals here are simple and most of them with great sea views. Riomaggiore is the first of the five, offers incredible views and amazing sunsets. It rises away from water at a dramatic angle, and the little roads between buildings are incredibly charming. Riomaggiore has a couple of nice food markets perfect for home cooking and wine bars deserve definitely a stop. It has also a modestly sized beach with clear water. Why renting a holiday home instead of a hotel room?